In this episode, my guest is communication specialist, Helen Wilkie. She’s helped accountants and other professionals launch their own business books. We chat about the process of writing, publishing and marketing a business book. Welcome to episode 121 of the Marketing and Finance Podcast. For over 25 years, Helen’s worked with a variety of clients from multinational corporations through professional associations to government departments. She specialises in delivering more her flagship program, “Effective Business Writing for Accountants”, to firms and conferences across North America. She’s written eight books on business communication, including “Make Your Words Count: a short painless guide to business writing for accountants”, available on Amazon. If you enjoyed – Helen Wilkie on writing, publishing and marketing your business book – please leave a comment or a review on iTunes. Stop making strategy so complex and soul destroying. As companies grow, do they intellectualise the marketing process too much? Do they lose touch with what their customers want from their products and services? The reason I ask is since I left big corporate nearly 4 years ago, I’ve worked with smaller businesses on their marketing strategies and the experience feels less of an intellectual exercise and more of a genuine desire to let insight guide their business decisions. But if we over intellectualise the process we risk missing the real nuggets. I’ve seen some agencies boast about their ability to build “doctorate level” analysis into the process. Is this a good thing or would it miss the real customer insights that could lead to genuine new ideas? I’m as guilty as anyone for being swept up by a mass of paper, post-it notes and spreadsheets. I’ve been in teams emerging from the other side, exhausted, with a strategy declaring the company is going to become an industry thought leader. How excited would our customers be about that? Smaller businesses don’t have the money to spend on such massive undertakings. And it can be so refreshing to go through a simpler process. You can get just as good an analysis of the lay of the land, as you would from SWOTs, PESTs, Ansoff’s and Maslow’s, by answering three simple questions. Combine this with a goal, such as a revenue or profit target and you can then get on with planning your tactics. Your products, service, and communications, content and social media activity. You’ll find you’ve put together a simple strategic plan. Give it a try. You might find you can summarise your strategy on one or two pages rather than in 200-page report. Your whole reason why and your brand and come emerge from answering this questions. But once again it’s important not to over intellectualise it. Big corporates can afford to do qualitative and quantitative research, including focus groups, to tease from customers their likes and dislikes. They ‘ll employ insight analysts who can spot the trends that lead to opportunities for product developments or service improvements. And sometimes it’s possible to bias the questioning to get the answer justifying the strategy. No one would ever do that, would they? Again, without deep pockets, insight for smaller companies, comes from one to one meetings, phone calls and possibly a post-sale questionnaire, and genuinely knowing their client base intimately. But for everyone, in any industry, there is another way to hear what people are saying. We all have access to social media and this is where our customers shout loudest. This is where they will unload their thoughts without mincing their words. They’ll be candid, critical, and scathing. But often they’ll be constructive, complimentary and supportive. And we can learn so much from what they are saying. Are you using social media to listen to what your customers want? Vast expensive intellectual exercises have given birth to complex products, complex processes and me too marketing in many industries. The next time you set out on a strategic review, wouldn’t it interesting to try both approaches? Try and get to the answer using the nimble, small company, small budget, 3 question thinking and compare it to the traditional academic exercises? Would the simpler approach lead to a more relevant and engaging customer proposition? Do you recognise the situations I’ve described? Have you been in a soul-sucking strategy situation? 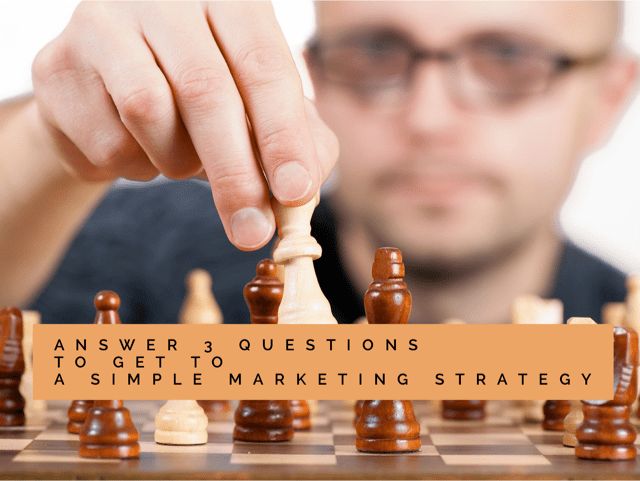 I’d love to hear your stories about keeping strategy simple. Please leave a comment below or share on social media. Do you need help with your strategy? And if you need help with your strategy please get in touch. We can arrange a Skype call to get you up and running with a simple strategy. There’ll be no soul-sucking complexity I promise. Cover Magazine recently published a version of this article. 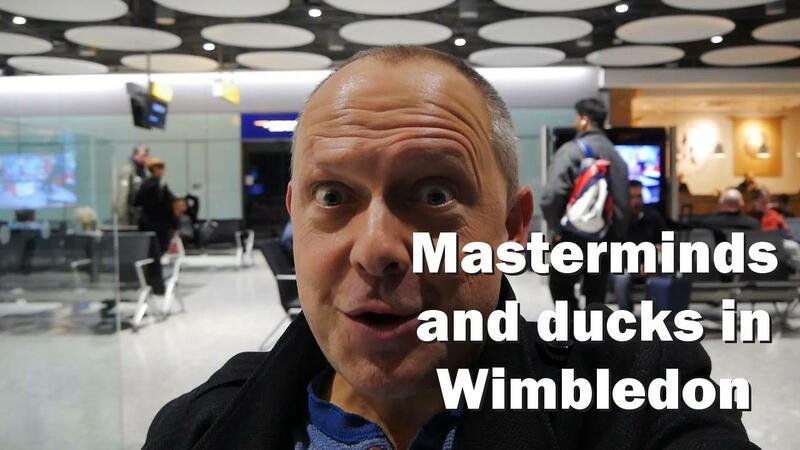 In this episode watch my trip to Wimbledon to attend a private mastermind session run by Chris Ducker. Find out what mastermind sessions are and how they could help you and your business. We also take time out to explore Cannizaro Park and see the real ducks. A “full on” but a motivational day. To find out more about Chris Ducker and his mastermind sessions just click here. Have you ever been to a mastermind session? What did you think of the format? Has your business benefited as a result? Please leave a reply or share this on social.